Hannah Cimon never liked the weather in Laconia, New Hampshire, according to her father, Mike Cimon, but she loved the weather in Tampa. She loved the palm trees and the sun, he said. This was largely why she spent her four years at UT and stayed in Tampa after graduating in May 2016. 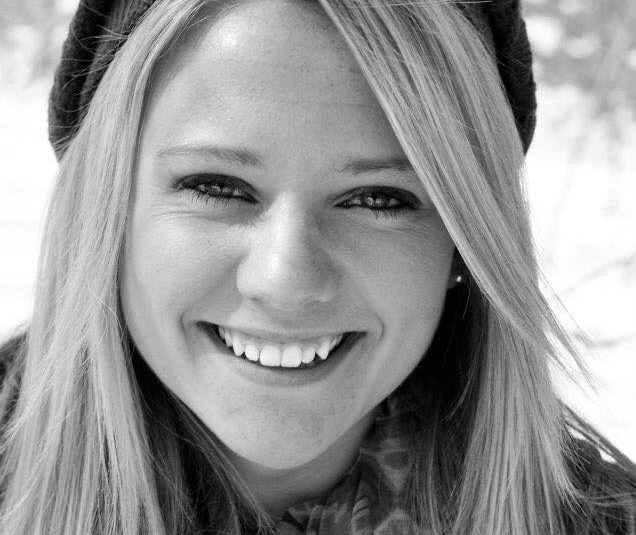 On Feb. 17, though, Hannah was found dead at the edge of West Parking Garage in the grass. Campus Safety blocked off the parking garage at 8:41 a.m. while the scene was investigated by the Tampa Police Department (TPD). TPD reported no foul play and tentatively ruled her death as a suicide. Hannah was the youngest of Mike’s four children at 23 years old. Her siblings and step-siblings loved her and had a tremendous bond, according to Mike. He said it was difficult for all of them when they learned of their sister’s passing. The family has received a lot of support on social media. Mike says his extended family has flown into New Hampshire from out of state. “We’re all just trying to get a laugh in and smile every now and then,” Mike said. At UT, Hannah studied public relations and communications. Lisa Brock, adjunct professor in the communications department, stood out to Hannah most in her four years at UT, according to her father. “In my first class, she appeared as a shy, early junior but in her writing — it was a writing course — she unveiled her big dreams and her willingness to work for them,” Brock said. Hannah wanted to do meaningful work and didn’t want to be ordinary, according to Brock. Hannah took another course with Brock as a senior. As the owner of Brock Communications, Brock took Hannah on as an intern for her company. Hannah’s friend, Devon Nestel, a senior graphic design major, has fond memories of her friend. She said Hannah was filled with energy and that it was difficult not love her when they first met in 2015. Hannah’s friend Kristin McKenna, ‘16, said every memory she shared with her friend was a happy one. McKenna said Hannah never failed to lift their moods. Suicide is the 10th leading cause of death in the U.S. and is the third leading cause of death from ages 10-24, according to the American Foundation for Suicide Prevention (AFSP). Counseling services at Dickey Health and Wellness Center don’t offer services for alumni, but Connie McCullough, counseling services director, would encourage anyone to check their mental health resources page. She would also encourage alumni to consider local resources like the Crisis Center of Tampa Bay. Stephanie Russell Krebs, dean of students, encourages any students in need of counseling to reach out to Dickey Health and Wellness Center. She urges students to familiarize themselves with campus, local and national resources on suicide prevention and recognize the signs. Hannah’s father reflected positively on Hannah and said she was loved by many. This article comes as a follow up to the events of Feb. 17, which can be found here.